The fact that I have to write this post is sad enough, but the fact that I am writing it because ongoing recycling of erroneous claims of secret sterilization campaigns in Africa come from a physician is even worse. This tetanus vaccine causes sterilization and miscarriages falsehood was in the news last year and was/is curiously promoted by both anti-vaccine groups and “pro-life” groups. I naively assumed that if one were pro-life one would be strenuously pro-vaccine, especially as the main goal of the specific program in “question” is to save the lives of new mothers and their babies from tetanus. The story started in 2014 when the Kenyan Conference of Catholic Bishops issued a statement about a secret WHO/UNICEF mission to sterile women in Africa by way of an adulterated tetanus vaccine. This, they claim, came about because someone suspected as much and so testing was done revealing the hormone beta-hCG. (Beta-hCG is a hormone released in pregnancy and the basis for a pregnancy test). …during the second phase of the Tetanus vaccination campaign in March 2014, that is sponsored by WHO/UNICEF, the Catholic Church questioned the secrecy of the exercise. We raised questions on whether the tetanus vaccine was linked to a population control program that has been reported in some countries, where a similar vaccine was laced with Beta-HCG hormone which causes infertility and multiple miscarriages in women. We want to announce here, that all the tests showed that the vaccine used in Kenya in March and October 2014 was indeed laced with the Beta- HCG hormone. 17, 2014. The WHO and UNICEF issued a strongly worded statement that basically said A) you never tested the vaccine you tested blood samples B) you used a lab not capable of doing the testing and C) we didn’t do such a thing, what are you thinking? 1) According to the UN/UNICEF statement blood was tested, not the actual vials of vaccine. Pro-tip, if you want to claim something is contaminated you need to test the actual substance. 2) There are lots of reasons blood samples can be positive for beta-hCG. Pregnancy of course being the main one. As many women vaccinated in this program are pregnant many would be expected to be positive for beta-hCG without any help from the WHO or UNICEF. In addition, false positives for beta-hCG do occur and certain tumors can also produce beta-hCG. 3) The gynecologic bishops claim the testing reveals beta-hCG hormone. This is a very important point because it’s the antibodies against beta-hCG that one would expect if there were a secret anti-hCG vaccine not the hormone beta-hCG. 4) There is no anti-hCG contraception vaccine. It has been looked at, but there isn’t anything available. If there were a contraception vaccine this would be big news. 5) Tetanus vaccine laced with the beta-hCG hormone wouldn’t do anything anyway. After all women inject themselves with beta-hCG to trigger ovulation in infertility therapy all the time. I hope I don’t have to point out that it would be rather counter productive to use an abortifacient in infertility therapy. Also, hCG doesn’t have a very long half-life, i.e. it clears the system pretty quickly. It is usually undetectable by 7 days after injection, which is why after hCG injections women typically wait at least a week to do a pregnancy test to avoid false positive from the injection. Then there is the basic physiologic/evolutionary concept that a hormone dangerous to pregnancy wouldn’t be produced in pregnancy. And if you believe in intelligent design, no omnipotent intelligent being would design pregnancy that way either! The claim that the presence of beta-hCG in the blood of some women is evidence of a secret campaign of a non-existent vaccine to sterilize pregnant women and cause miscarriages is both ridiculous and dangerous. 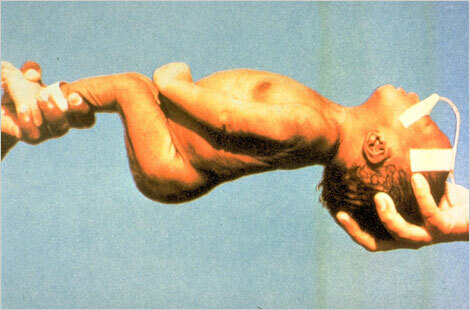 Tetanus in Africa is very serious health issue for pregnant women and newborns. Tetanus kills 180,000 neonates a year (about 5% of all neonatal deaths) and 30,000 women (about 5% of all maternal deaths). This does point out the extreme hypocrisy of the pro-life-but-anti-tetanus-vaccine stand. Vaccinating women during pregnancy is especially important as it protects the mother and her newborn, hence the campaign to vaccinate women of childbearing age and pregnancy women. I guess I can understand how someone with no scientific training could fall for the Kenyan bishops’ statement. After all, hormones and vaccines are complex and many people might not know that to test for evidence of vaccination against a hormone one would need to look for antibodies. Many people might also not know that beta-hCG has a short half-life and would be unlikely to harm a pregnancy as it’s production is an essential part of pregnancy. However, how anyone with any scientific background could promote this idea is really beyond my understanding. Kelly Brogan should be writhing with shame, but of course she isn’t. The US organization that was really beating the drum about this issue is called Matercare. On Dec. 10, 2014, they recanted — essentially said “We were wrong”, without of course saying, “we were wrong”. Thanks for calling Dr. Brogan out. This is not the first and no doubt not the last misleading article she published. I agree that it’s baffling – and problematic – that someone with her credentials writes so inaccurately, promoting unfounded anti-vaccine conspiracy theories that can lead people away from protecting their children from disease. The picture at the end of your post is simply heartbreaking. Pope needs to smack these bishops. This is utterly ridiculous.